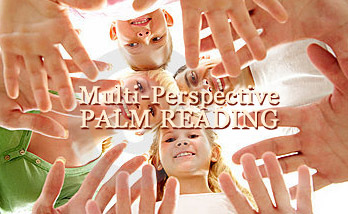 This ‘Palm Reading Perspectives’ blog will serve as new channel to explore the new perspectives that are rising from the rather unusual combination of ‘hand reading’ & scientific reports about hands (where certain parts of the hands are explored for etiological considerations, diagnostic purposes or serious prognostic speculations). Therefore the word ‘palm reading’ is used here in the perspective of serious hand research, not used here in the context of the future prediction theories as described in traditional India palmistry. Actually, serious hand research can also include the context of future prediction theories, as palmistry is a science that continues to grow and develop today. As someone who is both an occupational therapist and a professional palm reader with over 40 years of experience in the field, it is certainly possible to look at hands from both viewpoints. And the information you get from reconciling the two approaches is actually very interesting….